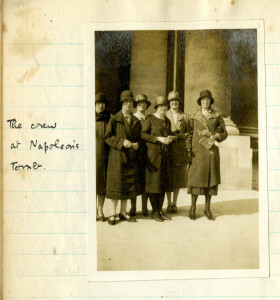 We are extremely lucky to have two handwritten diaries from 1925 and 1926 that document two ambitious trips to Paris by staff, pupils and members of the senior club. The diaries contain accounts written by each of the trip participants and provide a light hearted and comical insight into the escapades of our former WGS pupils. 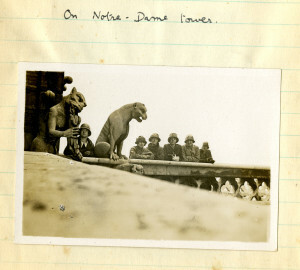 Many pages in the notebooks contain photographs of the different historical locations that the party visited and there are several snap shots of the group relaxing and taking in the sights. 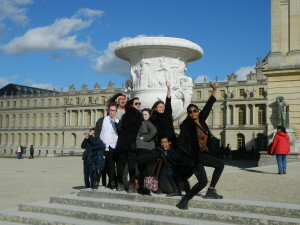 To celebrate the 125th Anniversary, the Archive and the History department studied the contents of the diaries and decided to recreate some of the photographs during an Upper 6th trip to Paris. 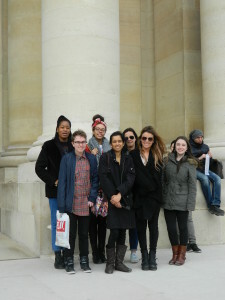 The main focus of the trip was to provide A-Level History students with a better understanding of the French Revolution. 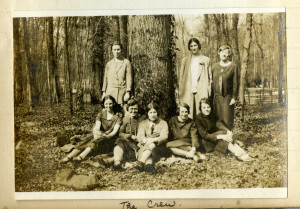 Many of the locations that were on the 2015 itinerary matched that of the trips in 1925 and 1926. Our current pupils were more than happy help reconstruct the archive images and the resulting 21st century photos are quite interesting in comparison! 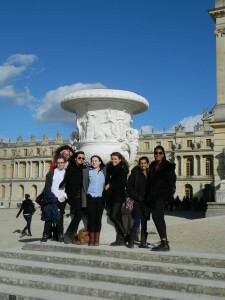 The following paragraphs provide a brief overview of our student’s Parisian adventures, past and present. 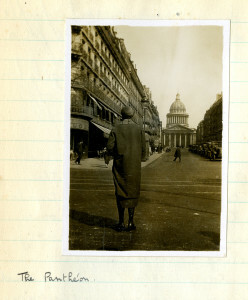 Travelling to Paris in 1925 was not quite as simple as our flight from Manchester, our quick ride on the RER to the Gare du Nord and a short walk to our accommodation! The main party met at Didsbury train station on April 16th 1925, and embarked on their journey to London. The group then experienced a rather rough ferry crossing and there are some humorous anecdotes about seasickness medication! The ferry ended up docking in Boulogne rather than Calais due to the precarious sea conditions. As soon as the group had set foot on dry land, they were bombarded by French men who wished to carry their baggage and expected a hefty payment in return! 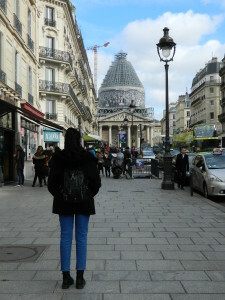 The party then boarded a train for Paris, finally arriving at the Gare du Nord at 10pm where they hopped into taxis and finally arrived at their hotel. 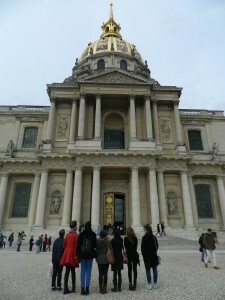 A paragraph from the 1925 diary reads, ‘Our next place to visit was the Palace des Invalides, to see the tomb of Napoleon I, one of France’s greatest heroes. 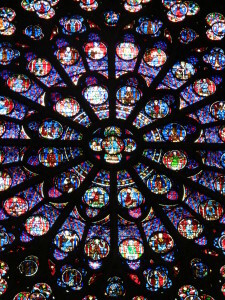 The sculpturing, painting and coloured light effects were glorious. 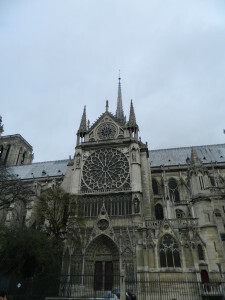 And we enjoyed it very much.’ The 1926 diary describes the interior architecture further, saying, ‘This tomb was most artistic and built of marble. Around the tomb were twelve statues and various flags representing the battles which he had won. The altar with it’s gigantic candles was much admired’. 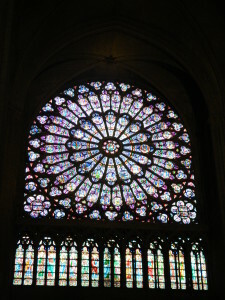 In the present day, we were all in awe of the architecture and craftsmanship of the building. 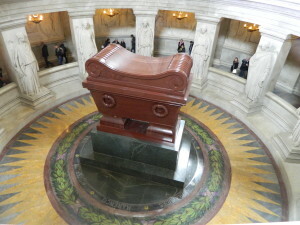 It seems as though Napoleon’s tomb has been well preserved over the past 90 years! 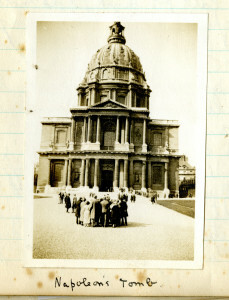 Below are several photographs showing both the past and current groups outside the domed church that contains the tomb. 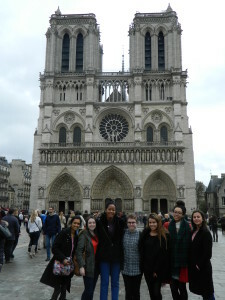 In contrast to the former pupils’ experience at Notre Dame, the grounds surrounding the cathedral were absolutely heaving with tourists! The photographs below document an exterior snap shot taken many years ago and our group in 2015. 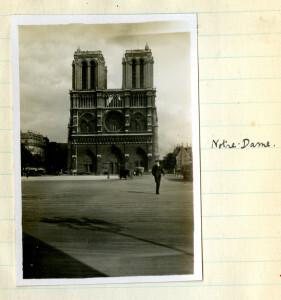 Unfortunately, we did not have time to head to the roof of Notre Dame and pose with the gargoyles as this 1925 photograph shows. 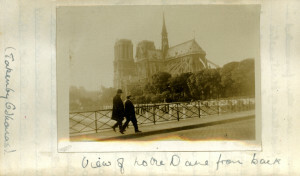 This photograph from the 1926 diary shows an elegant bridge close by to Notre Dame with a couple of pedestrians. 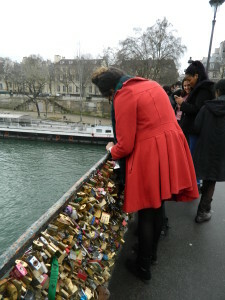 Many of the surrounding bridges are now covered in ‘Love locks’. 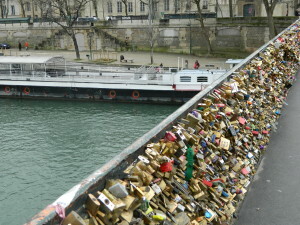 These are meant to signify a romantic gesture between couples and the girls enjoyed reading the messages! 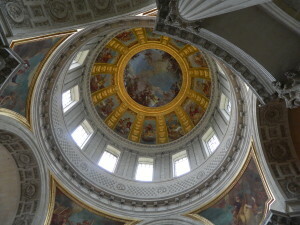 On our final day in Paris, we boarded the RER and headed to Versailles. As we found with many of the notable venues across the city, the palace was extremely crowded. However, we very much enjoyed visiting the King’s chambers on a private tour and the girls hired bicycles and explored the beautiful gardens. 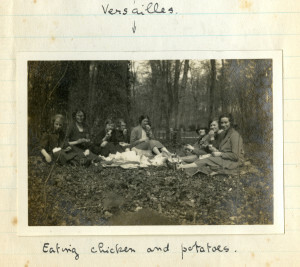 Initially, we wanted to recreate a picnic in the grounds of the palace as photographs and excerpts from both the 1925 and 1926 diaries document the pupils enjoying ‘chicken and potatoes’! 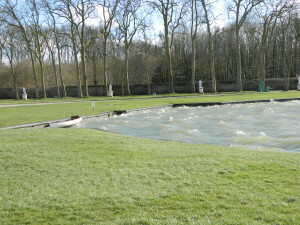 However, the weather was not on our side and it was rather windy and cold to be sitting out. Instead of gathering the girls in a wooded area as the photographs below show, they quickly posed around a grand vase on our way out of the wind! 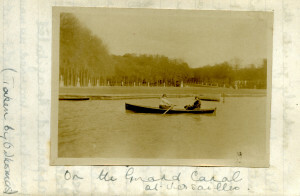 You will also see a photo below that depicts pupils in 1926 on the ‘Grand canal’, in contrast to this, the boating lake in March 2015 did not look inviting at all! On the final morning, we were up bright and early in order to catch our flight back to Manchester airport. We made sure that we had time to drop in to the local (and delicious) boulangerie for fresh croissants and brioche first! The party travelling back 90 years ago did not have such a straight-forward trip and had to endure a very crowded ferry crossing! However, a diary excerpt states that ‘Mercifully, it was a perfect crossing, calm and very beautiful, and most of the crew were comfortable enough squatting on mackintoshes and leaning against suitcases in a sheltered corner by the railings.’ Upon leaving the ferry, the journey substantially improved with an upgrade to first class carriages on the train. We shall treasure the diaries in the Archive, the photographs and anecdotes of the former pupils have proven extremely interesting. We will continue to consider how the travellers 90 years ago would feel if they knew we were still reading and enjoying their memories today.